Vervely Celebrates 1st Year Anniversary With Gifts! 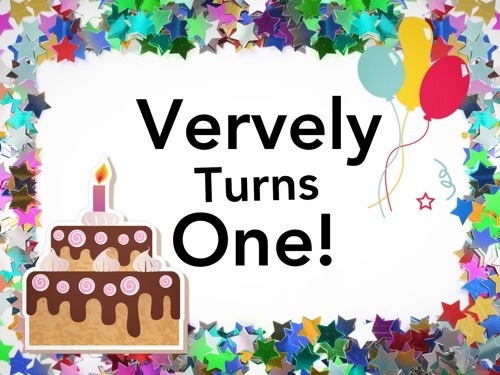 This month of May, Vervely officially turned one as a business. And, what a year it has been! We are grateful for our fantastic clients and VIP Circle members, as well as friends, family, and other supporters. With everyone’s support, we were never lacking in work during the year. In fact, we have had to turn away some opportunities that came our way. So, for that and more, we can’t be any happier with how the year has gone by. 2) A free brief digital consulting service (up to 4 hours’ worth) for a nonprofit organisation. One (1) winner will be randomly chosen from the comments section on this blog post. Make sure that you can provide evidence that you are working for a nonprofit organisation (anywhere in the world) as an employee. Tell us via the contact form what type of digital work/service that you need for your organisation. One (1) winner will be chosen based on a number of criteria, including: need, project type, and scope of work. Deadline for this initiative is on the 30th of June 2013. We will be announcing the winners in the July 2013 issue of our newsletter.